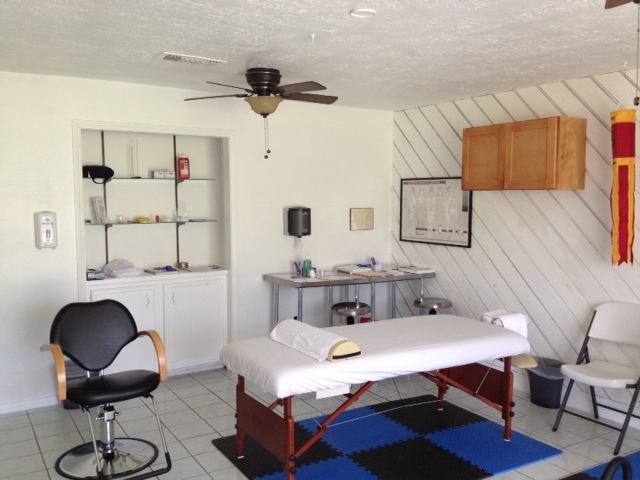 We are a Sienna Plantation based Acupuncture Studio focused on delivering body and ear acupuncture. Dr. Kuno Zimmermann holds a TX license to practice medicine. He completed the Medical Acupuncture for Physicians program at HMI/UCLA in 1997 and opened the first VA based Acupuncture Pain Clinic, at the Houston TX VA Medical Center in 1998. In 2005, he trained with Dr. Bryan Frank in Ear Acupuncture, subsequently integrating it into his practice. In 2010 and 2011, while serving as Medical Director of the mTBI Clinic of USAG Bamberg (Germany), he integrated Ear Acupuncture into the mTBI treatment offerings, focusing on problems of insomnia, anxiety, lack of energy, and anger dyscontrol. In 2011, he opened the first VA based Ear Acupuncture Pain Clinic at the VA Tennessee Valley Healthcare System. In 2012 and 2013 he organized the 1st and 2nd VA Ear Acupuncture training courses, each attracting 30 practitioners, and featuring Bryan Frank, MD, as lead instructor. In 2014, he opened the Acupuncture Studio at Sienna Plantation, where he currently practices. Ear Acupuncture, or Auricular Acupuncture or Auriculoacupuncture is a form of alternative medicine based on the idea that the ear is a microsystem with the entire body reflected on the outer portion of the ear. Conditions affecting the physical, mental or emotional health of the patient are treated by stimulation of ear surface points exclusively. Auriculotherapy was first developed by the French physician Paul Nogier, MD, who published his results in 1957 in his Treatise of Auriculotherapy. His findings were subsequently picked up in China and introduced to the barefoot doctors. Dr. Nogier is still known in China as the "Father of Auriculotherapy". During an ear acupuncture treatment, the electrical activity of specific points on the external ear is detected. If found abnormal, the points are subsequently treated using electricity, laser light, or pressure. Treated points can be modulated for 3-5 days through the application of miniature magnetic or metallic seeds held in place with adhesive cloth. Alternatively, the points can be modulated through the use of semi-permanent miniature needles (ASPs) for up to 7 days, although an additional clinic visit is needed for removal. Common treatment plans for a single complaint usually involve 6 to 12 sessions, to be carried out over a few months. A typical session lasts about 30 minutes and entails sitting in a comfortable treatment chair while the practitioner identifies and treats 3 to 10 points, subsequently applying appropriates seeds or ASPs. Auricular acupuncture has gained wide acceptance in DoD clinics and is gaining acceptance in the civilian world. Body Acupuncture is a form of alternative medicine. It is most commonly used for pain relief, though it can be used to treat a wide range of other conditions. Many people who seek out acupuncture do so for musculoskeletal problems, including lower back pain, shoulder stiffness, and knee pain. Acupuncture can be used alone or as an adjunct to other treatment modalities. During a body acupuncture treatment, specific acupuncture points along the skin of the body are stimulated using thin needles. Electricity, heat, pressure or laser light can be used to augment the effect of treatments. Common treatment plans for a single complaint usually involve 6 to 12 sessions, to be carried out over a few months. A typical session lasts about one hour and entails lying still on a treatment table while the practitioner determines the points to be treated before approximately 5 to 20 one-time use sterile needles are inserted; for the majority of cases, the needles will be left in place for up to 30 minutes before removal. Traditional Chinese medicine (TCM) based acupuncture believes that a "life force" called Qi circulates within the body in lines called meridians. Western medical acupuncture (WMA) is an adaptation of TCM-based acupuncture. It focuses less on TCM and attempts to incorporate acupuncture with conventional evidence-based treatment. While WMA thus distances itself from TCM's conceptual foundations such as Qi and Yin/Yang, recent advances in the understanding of the Primo vascular system's anatomy offer the promise of bridging the gap between the two. All bookings are by appointment only. Evening and week-end appointments are available. Body acupuncture appointment slots are 1 hour long. Ear acupuncture appointment slots are 30 min long.